Sisters in Crime Desert Sleuths Chapter 2017 registered members are able to purchase tickets at a discounted rate. You must be a registered member of both Desert Sleuths Chapter and Sisters in Crime national. Membership will be verified. 2017 registered members of other Sisters in Crime chapters are able to purchase tickets at a less discounted rate. You must be a registered member of Sisters in Crime national. Membership will be verified. Students (Restricted to 14-20 years old) SATURDAY REGISTRATION ONLY – Must be 21-years-old to attend Friday evening reception. If you are registering after August 2nd and prefer to pay by cash or check, please present it at the time of check-in for the first WriteNow! 2017 Conference event you attend. 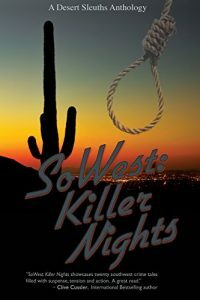 Cancellations received by email (at desertsleuths@gmail.com) no later than May 12, 2017 – OR – postmarked no later than May 12, 2017 and received at the Desert Sleuths mailing address, will receive a full refund minus $20. No refunds after May 12, 2017.